Bought all the main presents and now wondering what to put in your child’s stocking? Stuck for low cost ideas that will be a hit? We have scoured the shops to bring you these fabulous treats that will bring joy to your children this Christmas. OK, your baby might not have a clue what Christmas is all about but you still want to make it special and start those Christmas traditions, including the stocking. Here are some lovely little ideas that your baby will adore. Brilliant for encouraging those first steps, this pull along toy is a timeless classic and best of all, for the environmentally conscious, it’s made from wood. Encourage the inner scientist and wildlife explorer in your child with these cute binoculars. It’s never too early for STEM themed toys after all. Offering a myriad of possibilities, these wooden blocks are a classic toy that every child should have. Sort by colour, build a tower, and learn about different shapes. They even come with a cute storage bucket. Your pre-school aged children would probably be happy with the box that the toys get delivered in along with some pens for scribbling all over it, but that won’t stop you from spoiling them. Plus you will love seeing their little faces light up as they pull these toys out of their stockings on Christmas morning. This small but might craft set is great for popping in your bag and taking on holiday or trips to relative’s houses. It can be used again and again, and best of all there’s no messy paint involved! Designed to help children develop their memory skills, this game will also help your child to learn the names of different foods and encourages letter recognition. Perfect the child who loves to be the centre of attention, this fun toy will get them up and singing. It features 6 different voice changing effects, flashing lights, and even includes demo tracks for your child to sing along to. Now your child has started school he or she is probably acutely aware of all the latest toy fads. Blind bags are particularly popular and make easy, fun, stocking fillers, but if you want something that will be played with for more than five-minutes, then check out some of these suggestions. In the age of games consoles and tablet computers, sometimes it’s good to revert to the classics for some family fun. This tub contains 50 marbles of various sizes and instructions for how to play a game. It’s one that can be cherished for years to come. 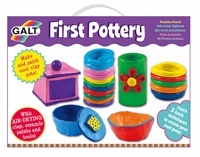 Encourage your child’s creativity with this cute set that contains clay for moulding into pots and paints for decorating them once dry. The clay dries in the air so there’s no need to bake it in the oven. At this age games consoles are a big hit, pop bands start to become important, and fad toys are as a big as ever. Finding stocking fillers that go beyond the latest trends and are both appealing and engaging can be tricky, but here are some popular ideas. Probably the world’s most recognisable puzzle, the Rubik’s cube has been challenging children and adults alike for generations. Brilliant for encouraging critical thinking and problem solving, this toy will be one that is played with again and again. This hilarious game will be fun for the whole family. 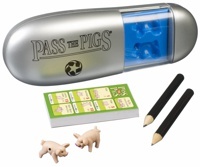 Throw the pigs and the way they land determines your score. It can be easily placed in a bag to pass the time when travelling on trains, planes, or waiting for food is restaurants, staving off the inevitable reach for the mobile phone or games console. This is a low cost, but highly addictive game that will keep your child entertained whilst giving their memory a good workout. A fun addition to your child’s stocking.